Professor David Payne of the University of Southampton has been knighted in the Queen’s New Year Honours List for services to photonics, the science and application of light and electronics. Professor Payne, who is Director of the world-renowned Optoelectronics Research Centre (ORC) at the University of Southampton, is being recognised for his extensive contributions to harnessing light in telecommunications, sensing, and lasers for manufacturing. He has to his credit an astonishing number of key discoveries, including his pioneering research developing the world’s first practical optical fibre amplifier – the Erbium-Doped Fibre Amplifier (EDFA) – and its use in optical fibre transmission systems. This crucial component forms the backbone of the Internet and made possible its explosive growth through an ability to transmit and amplify vast amounts of data. The EDFA, developed in 1987, is widely regarded as one of the most significant developments in modern telecommunications. Every time you use the Internet, your mobile phone or an ATM you are using technology developed at Southampton. Watch a video about Sir David's contribution to photonics here. 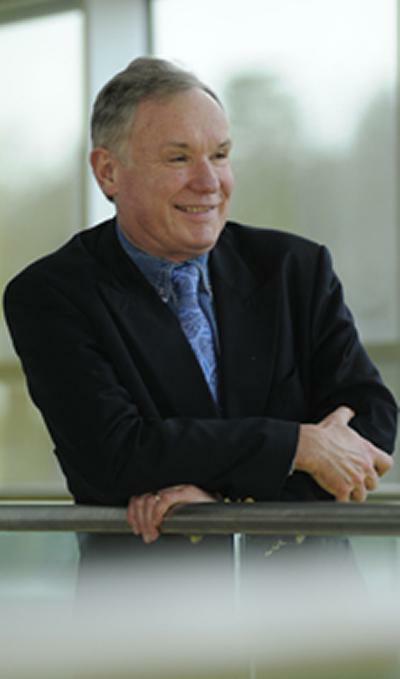 An international researcher who has spent his entire career spanning four decades with the University, Professor Payne is one of the most highly recognised scientists in the UK, as evidenced by numerous international honours and awards. He has made many influential discoveries in diverse areas of photonics, from telecommunications and optical sensors to nanophotonics and optical materials. His pioneering work in fibre fabrication in the 1970s resulted in most of the special fibres used today. He also led the team that developed the single mode silica fibre laser and broke the kilowatt barrier for the output power. Some of the highest power fibre lasers in the world have been designed by Professor Payne and his team. Fibres invented and made in Southampton are on the Moon and Mars, while Professor Payne’s ideas navigate airliners, cut steel, mark smart phones, manufacture life-saving medical devices, help defend our nation and power the Internet. As a leading University entrepreneur, Professor Payne’s activities have led to a photonics cluster of nine companies surrounding the ORC, creating jobs and wealth in the Southampton region. With colleagues, he founded SPI Lasers plc, a leading supplier of high power fibre lasers located in Hedge End, Hampshire. 1. A copy of Professor Payne’s CV, detailing his notable research achievements, publications, honours and external activities are available from Media Relations on request. Images and B-roll footage is also available from Media Relations on request. 2. The Optoelectronics Research Centre at the University of Southampton is one of the largest university-based research groups entirely devoted to optoelectronics in the world, and has maintained a position at the forefront of photonics research for over four decades. Its long and well established track record in the fields of optical fibre, lasers, waveguides, devices and optoelectronic materials has fostered innovation, enterprise, cross-boundary and multi-disciplinary activities. The ORC has built strong links with industry, research institutions and universities around the world, from informal collaborations to large-scale funding. Several spin out companies, including Fianium, SENSA, Fibercore and Stratophase have commercialised the fruits of ORC research; while its extensive outreach programme has brought lasers and optical fibres into schools across the country. For more information visit www.orc.soton.ac.uk. 3. The University of Southampton is a leading UK teaching and research institution with a global reputation for leading-edge research and scholarship across a wide range of subjects in engineering, science, social sciences, health and humanities. With over 23,000 students, around 5000 staff, and an annual turnover well in excess of £435 million, the University of Southampton is acknowledged as one of the country's top institutions for engineering, computer science and medicine. We combine academic excellence with an innovative and entrepreneurial approach to research, supporting a culture that engages and challenges students and staff in their pursuit of learning. The University is also home to a number of world-leading research centres including the Institute of Sound and Vibration Research, the Optoelectronics Research Centre, the Institute for Life Sciences, the Web Science Trust and Doctoral training Centre, the Centre for the Developmental Origins of Health and Disease, the Southampton Statistical Sciences Research Institute and is a partner of the National Oceanography Centre at the Southampton waterfront campus.